Beat This Caption Contest 176 – Caption Contest Funny Clever Witty Enter Today! 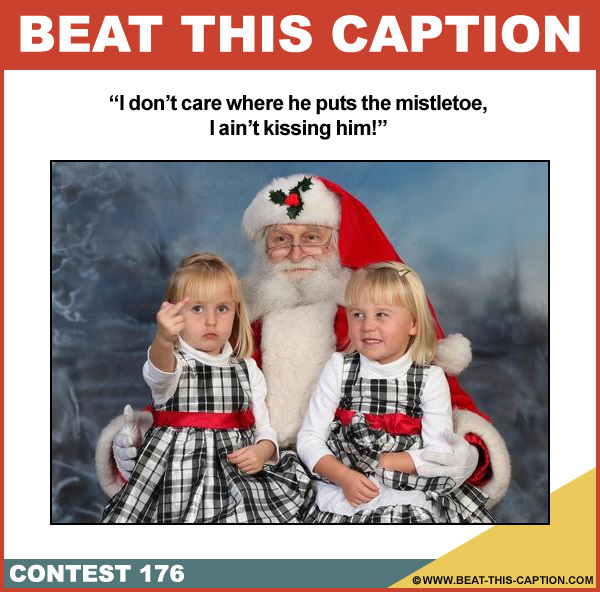 I don’t care where he puts the mistletoe, I ain’t kissing him! December 15th – December 21st 2013.